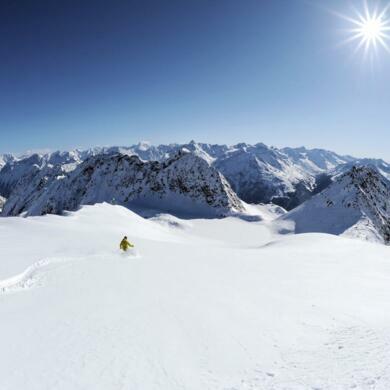 Perfectly groomed pistes from 1800m up to 3080m, breathtaking panoramic views of 21 peaks over 3000m and snowsure slopes from October until May – it is no wonder that the nearby resort of Obergurgl-Hochgurgl has such a fantastic reputation among wintersports enthusiasts. 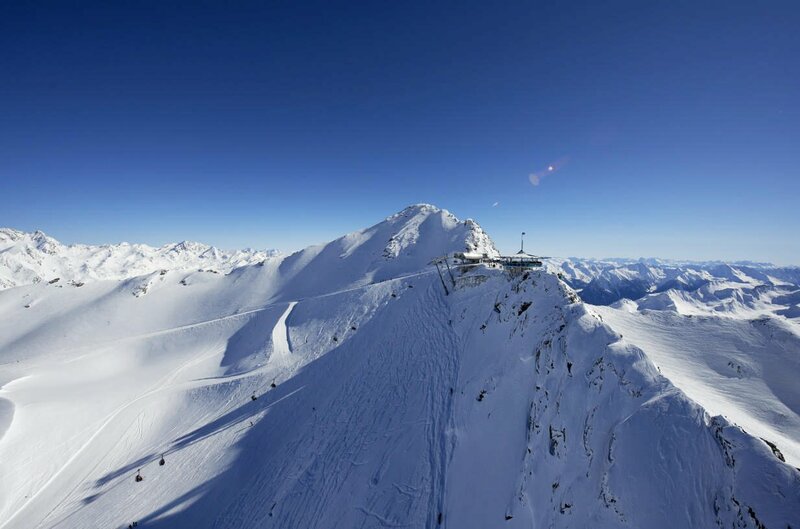 The region is considered the most snowsure resort in the Alps and offers both skiers and boarders excellent conditions. 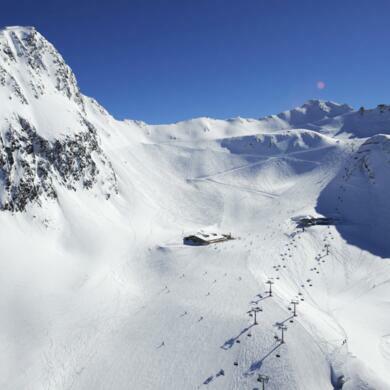 The ski bus stops right outside our hotel and takes guests the 300m down the road to the bottom station of the Hochgurglbahn I cable car. 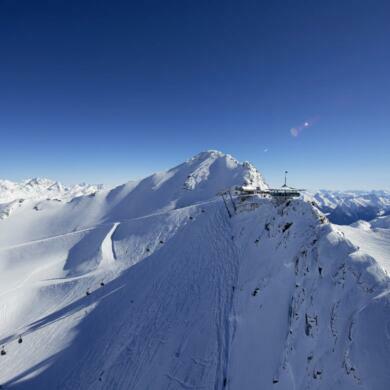 Alternatively, speak to a member of staff to use our free hotel taxi service to the lifts. 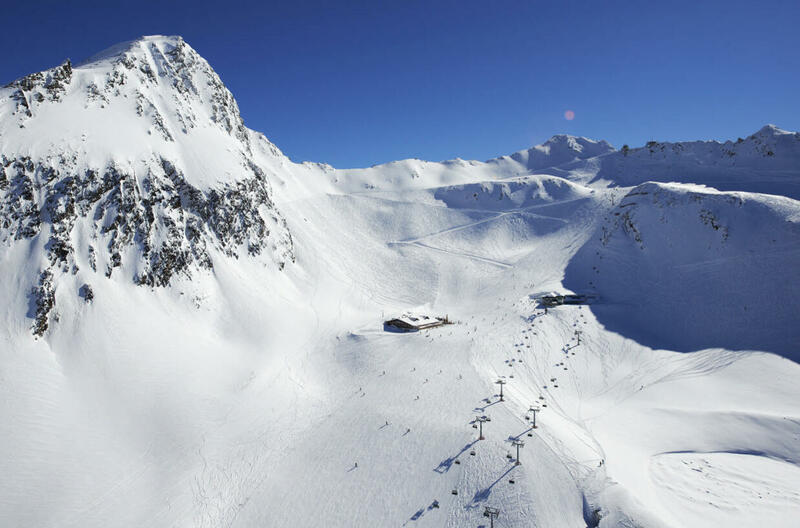 The Obergurgl-Hochgurgl ski area is designed to make it easy for groups of skiers and snowboarders to meet up throughout the day, meaning friends and families can go their separate ways and then get back together for a drink or a spot of lunch. Tip! 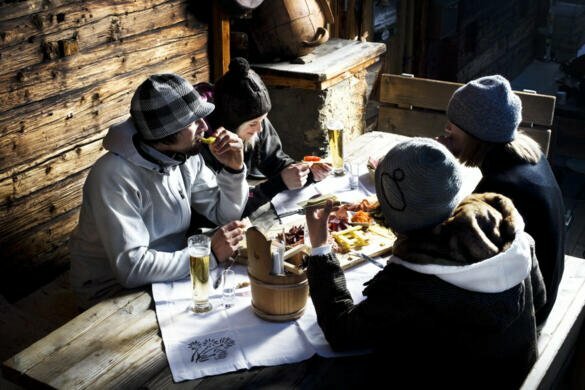 After a long day out on the slopes in Obergurgl, treat yourself to a meal in one of the village’s many restaurants serving everything from traditional Tyrolean food to dishes from around the world. Guests can use our hotel’s free shuttle service available until midnight to get to and from the restaurant of their choice. 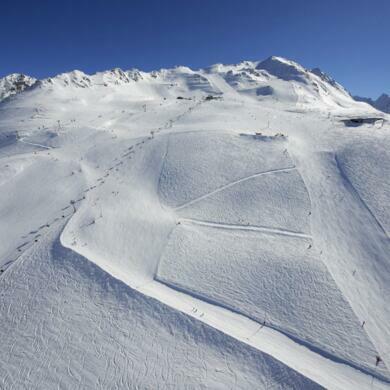 Skiers and snowboarders of all ages love night skiing in Obergurgl-Hochgurgl. 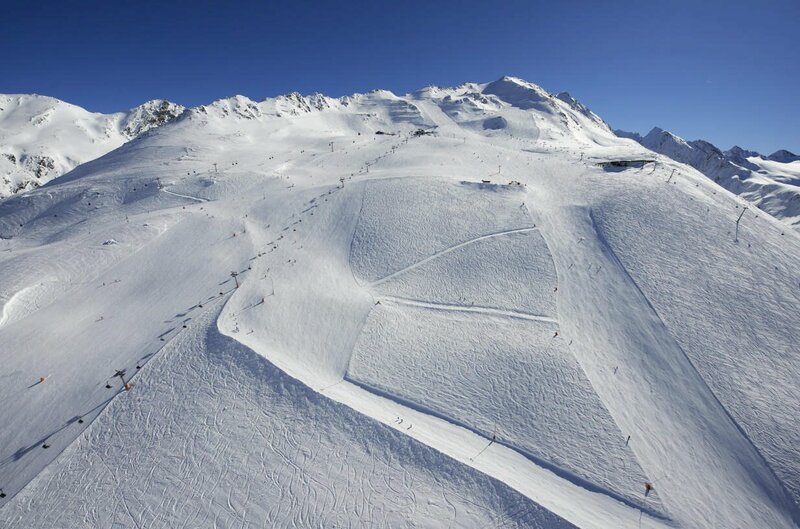 The run down from the Festkoglbahn cable bar back to Obergurgl is floodlit every Tuesday from 6.30pm until 10.00pm. 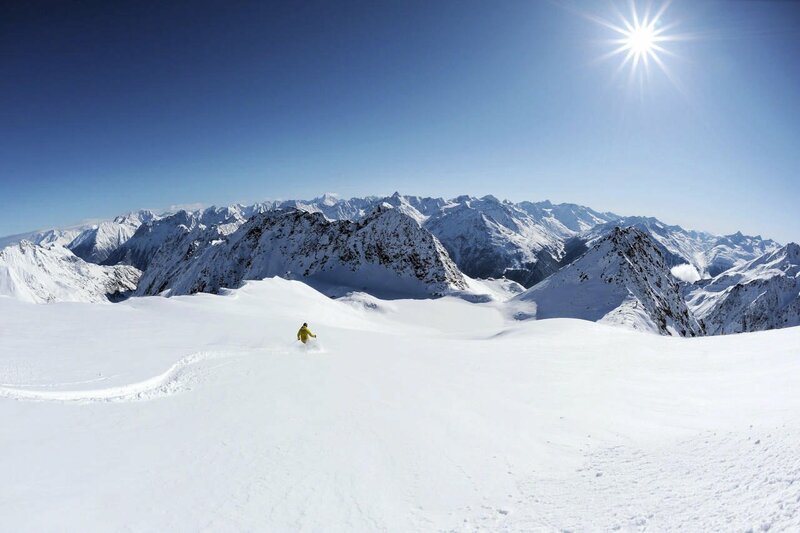 Don’t miss out on unforgettable views of the moonlit mountains. 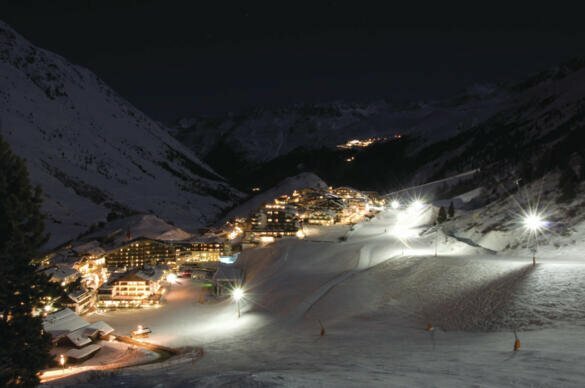 The evening draws to a close with a spectacular ski show put on by the Obergurgl Ski School, including a spectacular firework display set against the glistening white peaks of the surrounding mountains.